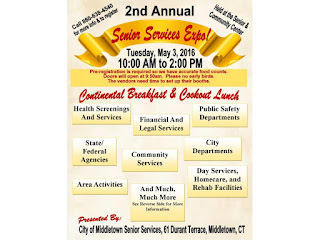 Valuable Information, Health Screenings, Door Prizes, Raffles, and Giveaways!! 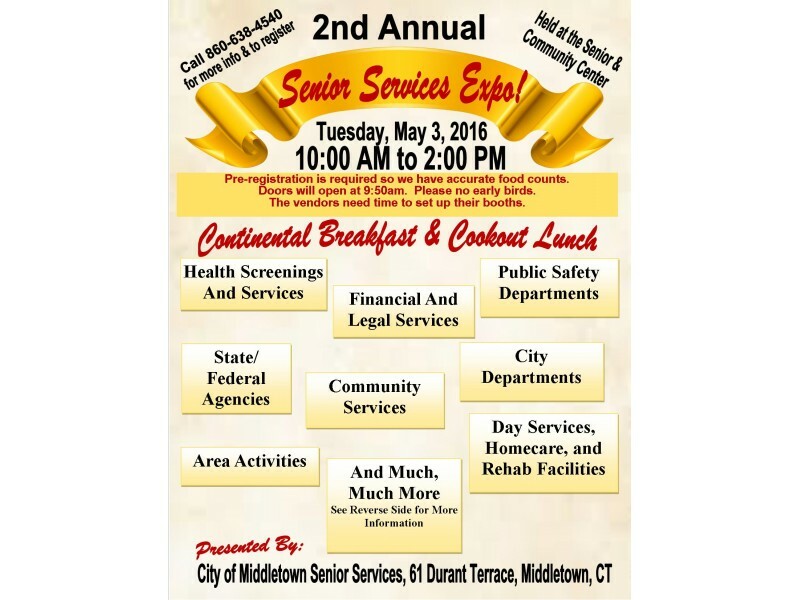 providers, city departments, and state agencies will be in attendance! You can stop in any time during the 10am-2pm timeframe and stroll through the tables of information. 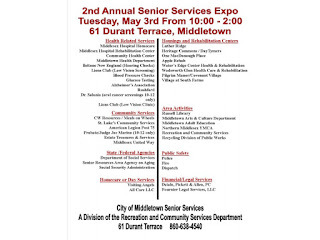 This is an excellent opportunity to meet people and gather valuable information on programs and services available to Middletown’s older adults. 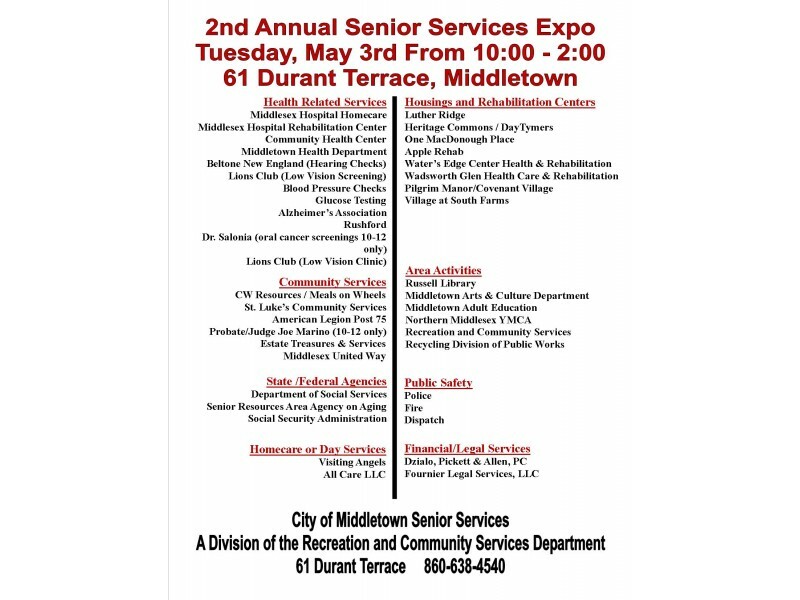 Many of the registered providers will be offering health screenings and promotional giveaway items. The Mayor is scheduled to stop in at the beginning of the expo. The doors will open just prior to 10am. Please allow vendors the time they need to set-up and get prepared for the 10am expo. No early-birds. There are no other activities running in the center on May 3rd. If you need transportation, don’t forget to make your reservation in advance (at least 24 hours) using our enhanced dial-a-ride service 860-347-3313. If you plan to attend this fantastic event, please pre-register by calling in advance or by stopping at the front desk. This is the only way for us to make sure we have enough food for lunch. The expo is a free program. Health screenings such as: Glucose Testing, Blood-Pressure Checks, Hearing Tests, Oral Cancer Screenings, Low Vision Clinic, etc. For more information, call (860) 638-4540 or stop in.